Happy Birthday To A Wonderful Person & Friend!!! 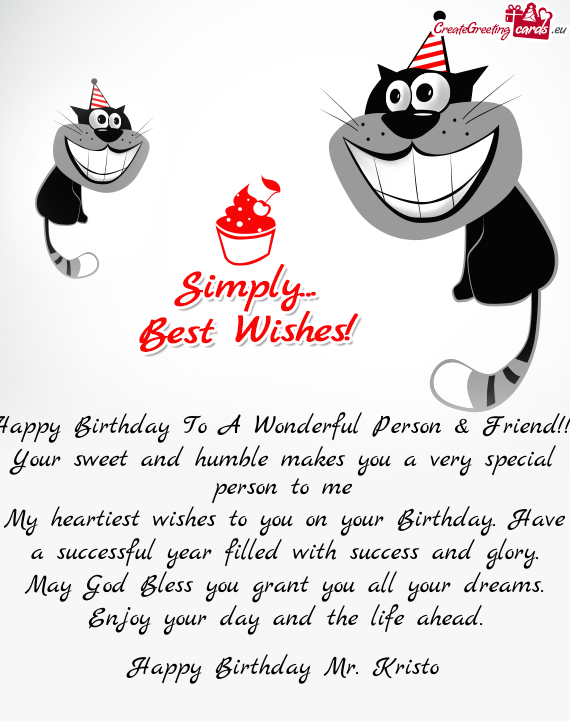 My heartiest wishes to you on your Birthday. Have a successful year filled with success and glory. May God Bless you grant you all your dreams. Enjoy your day and the life ahead.